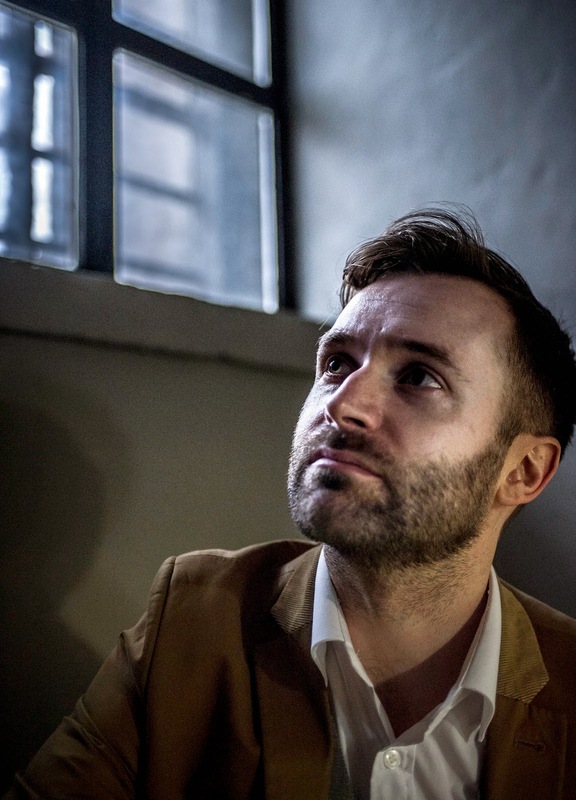 Three years after his acclaimed performance as Leo Frank, imprisoned on trumped up charges in Jason Robert Brown’s Parade, Alastair Brookshaw finds himself once again behind bars. The actor who is a master of profoundly fragile strength is once more playing a prisoner of conscience, this time the author and poet Oscar Wilde, who in the late 19th century was imprisoned for gross indecency a charge that arose from his (illegal at the time) homosexuality. De Profundis is drawn from the 50,000 word letter that Wilde wrote (but never sent) to his lover Lord Alfred Douglas, whilst incarcerated in Reading Prison. A solo performance, it is presented at the Leicester Square Theatre as the chosen show from The New Musical Project competition held earlier this year. As with his Leo Frank, Brookshaw again astonishes. Commanding the compact stage of the (packed) Lounge space, for one hour the shows' melodies range from ballad to distinctly upbeat as this beautifully talented tenor captures the tortured soul of one of England's most celebrated writers. Paul Dale Vickers has chosen wisely in his extracts from the original opus. From an opening reference to "we are the grotesques" in which we glean the misery of Wilde’s condition, through to the glorious melody of I Must Have Love In My Heart, a song that that gives Brookshaw a chance to fill the room with his voice, the work is a finely balanced combination of styles. The musical highspot of the show coincides with Wilde’s nadir, as he learns whilst imprisoned that the court has removed his children from his care. The pain is acute and Brookshaw sings How Sick The Love That Dare Not Speak Its Name with such controlled rage that there is an almost Gethsemane-like quality to his treatment. It's a spine tingling moment in such an intimate theatre. Stuart Saint has delivered a gem in his interpretation of this new writing. Enhanced by Jonny Dickie's subtle sound design and clever lighting, the dank isolation of a Victorian jail is convincingly suggested. This ballad of Reading gaol though merits a wider audience and an auditorium with grander acoustics than a sticky-floored Leicester Square basement. Brookshaw's mellifluous tones are frequently deployed as a chorister in the splendour of both St Paul's Cathedral and Westminster Abbey and to hear him deliver Vickers' majestic melodies in a classic venue, built with echoing walls of stone, would be a treat. Until then, Alastair Brookshaw serves his current term until 8th June. Visitors are most definitely encouraged.